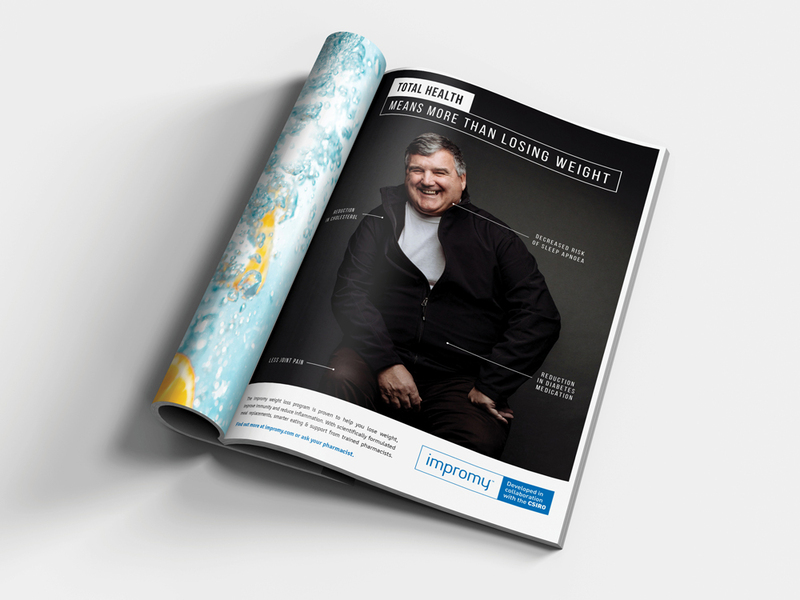 Developed in collaboration with CSIRO, the Impromy weight loss program launched in 2014 into a crowded and highly competitive landscape. The total market for weight loss services (approx. $641M according IbisWorld) covers a wide array of choice for consumers; weight loss counselling and group services, diet shakes, bars and supplements as well as the fast growing category of fresh and frozen meals. We knew that the people who struggled with their weight had often tried multiple products. So our challenge was to get Impromy on their consideration set by promoting the associations that would trigger interest. Through a series of consumer interviews on weight loss attitudes, we uncovered key differences in behaviour between those that were trying to lose weight. Younger people saw an opportunity to return to an ambitious goal weight, while older people simply wanted to halt their weight gain and reduce the risks of health issues that were typical for their age, weight and family. 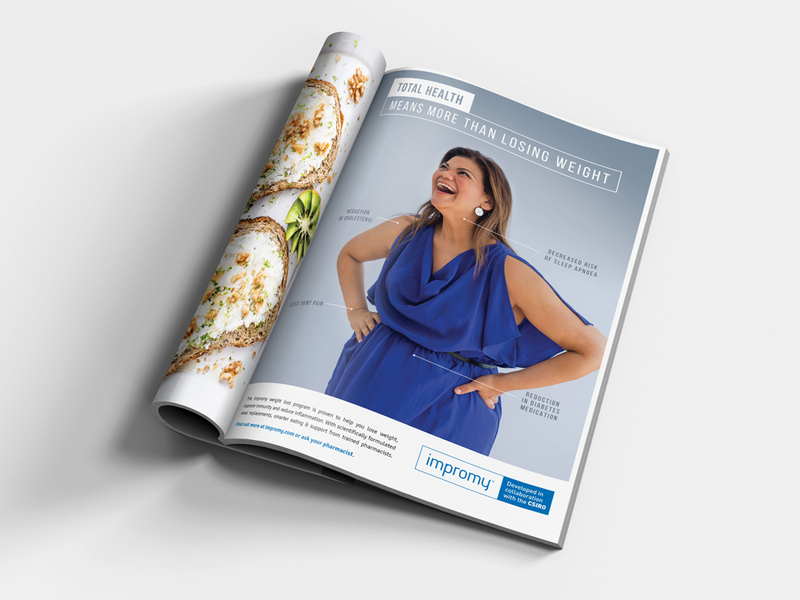 In 2018, Impromy was repositioned to appeal to an older demographic of people struggling with their weight. By appealing to broader range of health issues, we could trigger motivation beyond simply losing weight. New branding and advertising executions were developed to drive the new phase of growth.